K-1 Fiance Visa A K1 Fiance Visa allows the foreign fiancee of a U.S. Citizen to enter the United States with the intentions of getting married within 90 days of entering the United States. K1 Fiance Visas are generally preferred (over the Marriage Visa and K3 Marriage Visa) as the visa of choice for engaged international couples as they are considered the easiest, quickest, and least expensive route. K1 Fiance Visas generally take between 5-7 months from the time the I-129F Petition is filed at a USCIS Service Center to the day the K1 Fiance Visa is issued. First, the Petition is filed with the USCIS. Once approved, the Petition is sent to the overseas embassy for further processing, the fiancee interview and the eventual issuing of the K1 Fiance Visa. In contrast, a CR-1 or IR-1 Marriage Visa allows the foreign spouse of a U.S. Citizen or U.S. Resident to enter the United States for the purposes of immigration. While processing times have gotten significantly better for U.S. Citizens, the K1 Fiance Visa is still quicker and simpler for unmarried international couples seeking to get married. Marriage Visas generally take between 5-7 months from the time the I-130 Petition is filed at a USCIS Service Center to the day a Marriage Visa is issued. First, the Petition is filed with the USCIS. Once approved, the petitioner is contacted by the National Visa Center for further processing requirements and then once approved by the NVC, the Petition is sent to the overseas embassy for final processing, the spouse interview and the eventual issuing of a visa. U.S. Residents must wait an additional period of time--until an Immigration Visa Number becomes available--after the USCIS approval, which can add several more months to the timeline. A Marriage Visa is typically more complex, slower and, a more expensive route compared to the K1 Fiance Visa. The K3 Spousal Visa was designed to speed up the waiting times for married couples who have a pending Marriage Visa Petition with the USCIS. The K3 Spousal Visa allows the foreign spouse of a U.S. Citizen to enter the United States-only after an overseas marriage, the I-130 Petition filing (Marriage Visa Petition), K3 Spousal Visa Petition approval and K3 Spousal Visa issuance. A K3 Spousal Visa is only available to a spouse of a U.S. Citizen and not a spouse of a U.S. Resident. The disadvantage of a K3 Visa when compared to a CR-1 or IR-1 Marriage Visa is that once in the United States, the foreign spouse must file for an Adjustment of Status to become a Legal Permanent Resident. K1 Fiance Visas – You can begin the petition for a Fiancee Visa immediately, assuming that the couple have met within the past two years and meet other requirements. With the help of legal counsel, the process normally takes about 6-8 months. 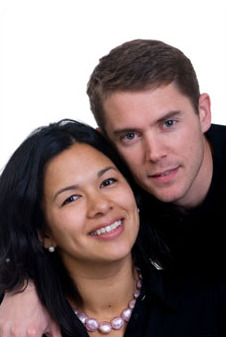 CR-1 and IR-1 Marriage Visas – You can begin the petition as soon as you become married. With the help of Legal Counsel, the process normally takes about 10-12 months. For Legal Residents, the process is longer. K1 Fiance Visa — With a K1 Visa, once the couple is married in the United States, the foreign newlywed is free to stay in the United States and immediately begin life with his/her new spouse. CR1 or IR1 Marriage Visa — Whereas, with the CR-1, IR-1 Marriage Visas, once the couple is married, the foreign spouse must remain overseas until the visa is granted. Most times, due to work and other commitments, the U.S. Citizen or Resident returns home while the visa application is being processed for the new spouse. Instead of getting married overseas (and filing for a CR1, or IR1 Visa), most of our clients opt for the K1 Visa application process. If having a ceremony overseas is very important to the couple, they may still have an “unofficial marriage celebration” with family and friends overseas–before or after–the official/legal marriage in the United States. The U.S. only recognizes “civil” marriage ceremonies and not “engagement/pre-marriage” celebrations when defining marriage. Further, the U.S. only recognizes marriages where the husband and the wife are both present for the wedding. If you have any concerns or have questions about which Fiancé or Marriage visa is the right visa for you, feel free to contact us and we will be happy to discuss your options.